The Synthetic Fiber gasket is cut from Synthetic Fiber rubber sheets. The Synthetic Fiber sheet is made from synthetic fiber, natural rubber, filling material and dye, compressed and calendered under high temperature and pressure into a sheet form. 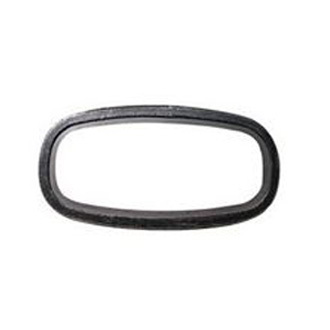 * Synthetic Fiber gasket cut from Synthetic Fiber rubber sheet. * Suitable for use as an oil-resistant jointing medium for heat installations and engine sealing. NCAF Gasket 1400: cut from Synthetic Fiber rubber sheets. 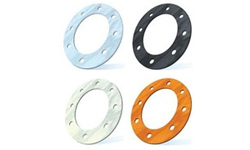 Oil Resistant NCAF Gasket 1400OR: cut from Oil resistant Synthetic Fiber rubber sheets. Temperature : 150℃, 200℃, 250℃, 300℃, 350℃, 400℃, 450℃.